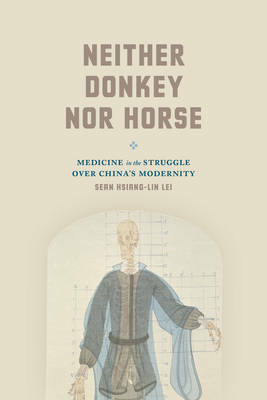 Neither Donkey nor Horse tells the story of how Chinese medicine was transformed from the antithesis of modernity in the early twentieth century into a potent symbol of and vehicle for China's exploration of its own modernity half a century later. Instead of viewing this transition as derivative of the political history of modern China, Scan Hsiang-lin Lei argues that China's medical history had a lite of its own, one that times directly influenced the ideological struggle over the meaning of China's modernity and the Chinese state. Far from being a remnant of China's premodern past, Chinese medicine in the twentieth century coevolved with Western medicine and the Nationalist state, undergoing a profound transformation-institutionally, epistemologically, and materially - that resulted in the creation of a modern Chinese medicine. This new medicine was derided as "neither donkey nor horse" because it necessarily betrayed both of the parental traditions and therefore was doomed to fail. Yet this hybrid medicine survived, through self-innovation and negotiation, thus challenging the conception of modernity that rejected the possibility of productive crossbreeding between the modern and the traditional. By exploring the production of modern Chinese medicine and China's modernity in tandem, Lei offers both a political history of medicine and a medical history of the Chinese state.